Mr. Emmanuel Olajide Adesoye (FCA), born in Ikoro Ekiti, Ekiti State, Nigeria is a chartered accountant, proven administrator, accomplished Oil & Gas Industry Manager and an outstanding finance expert from ExxonMobil Companies in Nigeria, the largest Oil & Gas producer in Nigeria. The Chairman’s professional career began in November 1973 at Peat Marwick, where he underwent Articleship Training as a student of accounting passing through H.Foulks Lynch and Co. UK. He completed the final examination of the Institute of Chartered Accounts of Nigeria (ICAN) IN 1978. 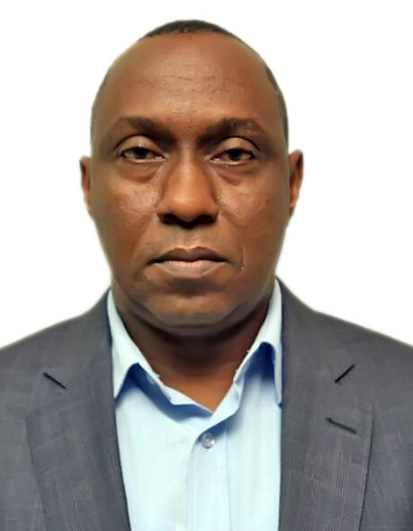 He served as a senior auditor and later manager, where he audited major Nigerian Companies including Shell, UBA, and PZ, Industrial Gases etc. Onwards from Peat Marwick, the Chairman spent over 28 years in senior level management, evenly distributed in the downstream and upstream segments of the Oil and Gas Industry in Nigeria & Overseas. He worked for ExxonMobil in the UK & USA, and was responsible for Accounting and Financial trainings for all Mobil downstream affiliates in Africa notably Nigeria, Zimbabwe, Egypt, Mozambique, Ghana, Zambia, Kenya, Sudan, Ethiopia, Eritrea and Sierra Leone. His growth in ExxonMobil exposed him to numerous trainings including the prestigious advanced management program for Oil and Gas industry executives in Thunderbird School of Global Management, Arizona, USA. He also underwent an intensive management program with a focus on International Oil and Gas financing – Euromoney, Amsterdam, Netherlands. 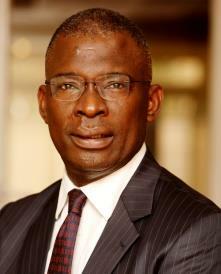 As an ExxonMobil employee, his management expertise and business leadership was widely acknowledged within the company’s circuit, thereby holding leadership roles including Member, Board of Trustees, ExxonMobil Upstream Pension; Member, Leadership Council, ExxonMobil Affiliates in Nigeria; and General Manager, Property Business (Mobil downstream), to name a few. He was appointed Group Treasurer, Upstream Nigeria ExxonMobil Affiliates (Mobil Producing Nigeria, Esso Exploration and Producing, Esso Deep water) and was responsible for Company and affiliate financing, Project funding, Pension fund operations and Company insurance management. He led the NNPC/MPN JV Project financing bringing in significant resources to enable the prosecution of the JV’s Natural Gas Liquids (NGL), Satellite Fields, & Drilling programs. Financing Expertise: He structured major financings for the NNPC/MPN JV’s programs (Natural Gas Liquids (NGL), Satellites Fields & Drilling). He procured over $4 Billion in financing from Multilateral Agencies, International Commercial Banks, Nigerian Commercial Banks and other sources. The financings have enabled major NGL and Crude Oil production that has provided significant revenues for NNPC, The Federal Government of Nigeria and Mobil Producing Nigeria. Controls Expertise: He provided World Class Controls Advisory in Business Practices, Foreign Corrupt Practices Act (FCPA) and Conflict of interest issues. 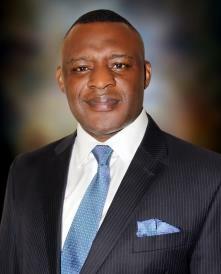 He implemented the ExxonMobil Nigeria Upstream Business Practices Review which introduced the Corporation’s Standards of Business Conduct, including Antitrust, Conflict of Interests, Directorships, Gifts and Entertainment policies as well as the Foreign Corrupt Practices Act, Alcohol & Drug use policy, and Harassment in the work place policy into the Nigerian affiliates. Facilities Management Expertise: He managed the considerable ExxonMobil Real estate portfolio profitably, thereby contributing significantly to Mobil Oil Nigeria Ltd. bottom line. He retired in June 2012 and has since provided consulting services in Oil & Gas financing, Construction and Agriculture. After his retirement, he served on the Board of Lagos State University (LASU). Mallam Sulaiman Halilu was born in September, 7th 1954 in Kano. He attended Rimi City Primary School and later Rumfa College all in Kano. He then proceeded to Cambridge College of further Education, Cambridge. UK. Where he obtained a general course in building construction certificate. He also attended centre for Business Studies, London, UK. Earned a Diploma in Business Studies and English Language. Mallam Halilu has effectively handled legal and Government matters including staff welfare of various companies some of which include Gongori Company Limited Kano, W. J. Bush and Co. (Nig.) Limited and Scirroco International limited limited amongst others. He has rendered selfless services to his Community at every given opportunity some of these include: Building a delivery theatre, a surgical delivery and babies ward for Nuhu Bamalli Clinic, Kofar Nassarawa Municipal Local Government Area, Kano. The state government eventually upgraded the place to a full clinic. Helped to upgrade a road at Sabuwar Gandu municipal Local Government Area, Kano State. Alhaji Halilu was the chairman of Kano State Trade Fair Committee between 1999 and 2003, he was a member of BPE Committee on Industries. He also served as a member of vision 20-20-20 committee on industries. Help to build Islamic School and Community Mosque at Jigawa Jaen Gwale Local Government Area, Kano State. Help to build an Islamiyya School in Rangaza (ungogo Local Government Area, Kano State. The Board member of NPA has made an impressionable in print on the political terrain. He was a founding member of both the Buhari Organization (TBO) and congress for Progressive Change (CPC), served as vice chairman Kano State Finance committee of CPC. Prior to his appointment as a board member of NPA in September, 2016, he was the senatorial aspirant for Kano Central District of APC in 2015. 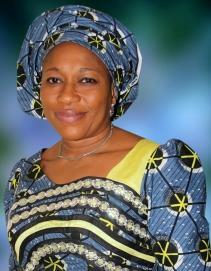 Mallam Halilu is married to Barrister Khadeejah Ibrahim Halilu and they have five Children. Department of Civil Litigation and Public Law – Federal Ministry of Justice 1987 – 1992. Assistant Legal Adviser – Federal Ministry of Power and Steel 1992 – 1997. 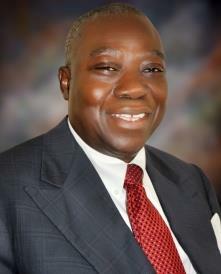 Olasupo Shasore is a Senior Advocate of Nigeria and a Partner at the Commercial Law firm of Ajumogobia & Okeke. 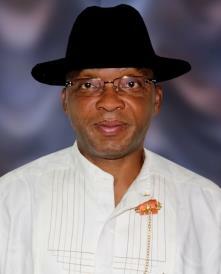 He was until May 2011 the Attorney-General and Commissioner for Justice of Lagos State. His areas of specialisation include Arbitration, Commercial Litigation, Maritime and Shipping and Commercial and Business Crime. Shasore was admitted to the Nigerian Bar 1987, and admitted to the inner bar in 2006 as Senior Advocate of Nigeria. He is a fellow of the Chartered Institute of Arbitrators; a Member of the London Court of International Arbitration, Africa User Group; a Member of the Panel of Recognized International Market Experts (“PRIME”) and a Member of the Advisory Committee of the International Lawyers for Africa (ILFA); a Supporting member of the London Maritime Arbitrators Association; and a Member of the Nigerian Society of International Law and the Nigerian Maritime Law Association. Shasore was, until 2016, the President of Lagos Court of Arbitration and Chairman of Arbitration and Alternative Dispute Resolution Committee, Section on Business Law, Nigerian Bar Association. He is also the co-founder and pioneer vice president of Maritime Arbitrators Association of Nigeria and the author of “Jurisdiction and Sovereign Immunity in Nigerian Commercial Law” (2007) and the co- author of “Commercial Arbitration Law & International Practice in Nigeria” (2012) (LexisNexis). His interest for the development of commercial law and practice resulted in the commencement of Commercial Law Reports Nigeria where he is Publisher and Editor in chief. He has written several articles, and delivered papers on various aspects of commercial law and legal practice globally. In his time as Attorney General of Lagos State, he developed the Limited Liability Partnership Law of Lagos State, the Lagos Arbitration Law, Public Procurement Law; Mortgage & Property Law; the Administration of Criminal Justice Law [re-enactment] 2009; the Criminal Law and Magistrates Courts Law, amongst others. Shasore serves presently as chair of the Law Reform Commission. He has been engaged in the resolution of various commercial disputes by arbitration and has advised various clients in the oil and gas industry, maritime, power, and construction matters. He was member/secretary of the Presidential petroleum revenue special taskforce and has chaired the Committee on reform of the National Arbitration law. FCI Arb – Fellow of the Chartered Institute of Arbitrators (United Kingdom) ; Called to the Inner Bar and conferred with the rank of Senior Advocate of Nigeria (SAN) ; Institute of Maritime Law-University of Southampton ; Appointed Notary Public for Nigeria ; University of Lagos – LL M (Master of Law) [1989 to 1990]; University of Ife, Ile-Ife, Nigeria – LL B (Bachelor of Laws) [1981 to 1986]; Nigerian Law School, Lagos, Nigeria – BL (Called to the Nigerian Bar – 22nd October, 1987); Igbobi College, Yaba, Lagos, Nigeria [1980 to 1981]; Federal Government College, Lagos [1975 to 1980]; Orange Hill Grammar School, Edgware, Middlesex England, UK [1974 to 1975]; Broadfields Primary School, Edgware, Middlesex, England [1969 to 1974]. Barr. (Mrs.) Constance Harry-Onukwugha, was born in Port Harcourt, Rivers State, South-South of Nigeria.She holds a Bachelor Degree of Law (LLB, Hons) from the University of Ibadan, 1994 and BL from the Nigerian Law School, Lagos, 1995. 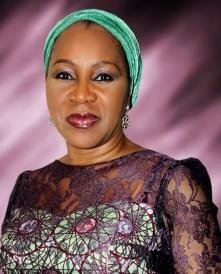 She also holds a Diploma in Human Resources Management from The Chartered Institute of Personnel Management, Nigeria. (CIPMN). Barr. (Mrs.) Harry-Onukwugha is a Member of both the Chartered Institute of Personnel Management Nigeria (CIPMN) and the Institute of Chartered Mediators and Conciliators (ICMC). Among other positions, she also worked with the Rivers State Ministry of Justice as a State Counsel, thereafter worked with Forthright Integrated Services limited as Director Human Resources Management; with the responsibility of maintaining an optimal organizational structure to support the achievement of the company’s goals and objectives also ensuring appropriate balance between staff personal and professional goals. In 2013, she set up her own Law and Estate Management Firm; Constance Harry & Co. where she is the principal partner and Chief Executive Officer of the firm till date. 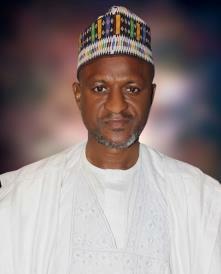 Mallam Umar Shuaibu was born in March, 20th 1967 in Niger State. He attended Anguwar Gayan Primary School Suleja, Government Science College Izom Niger State, He attended School of Basic Studies Ahmadu Bello University (A.B.U) Zaria, He then proceeded to the same Institution, where obtained first and M.Sc Degrees in Urban and Regional Planning. He has effectively handled several positions including lecturer 1 in the Urban and Regional Planning, Department and Center for Human settlement and Urban Development (CHSUD) Federal University of Technology (FUT) Minna. 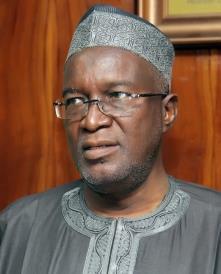 Mallam Umar Shuaibu also served in various Capacity as Town Planning Officer between 1989-2004. He is a member of different Professional Bodies such as Nigerian Institute of Town Planning (NITP), Town Planner Registration Council of Nigeria (TOPREC) and Nigerian Environmental Society (NES). The Board Member, is an active Politician in various capacity amongst which was the Niger State Buhari’s Campaign/Support Organization Coordinator -2015 General Election, Niger State Chairman Congress for Progressive Change (CPC) 2010 – 2013 and Iterim zonal Chairman Niger East Senatorial District All Progressive Congress APC) -2014 where he served in the past. Mallam Umar Shuaibu also attended various Professional courses both in Nigeria and Abroad amongst which are Mandatory Continuing Professional Development Programs (MCPDP) NITP and TOPREC, Development of Multi User Templete for land use Planning Analysis Reporting (LUPAR) kaduna-Nigeria August 2015 and Center for Human Settlement and Urban Development (CHSUD), FUT Manna, in Conjunction with the Institute for Housing and Urban Development Studies (HIS) Netherlands. Jan – June, 2013. He was also a great writer, who featured in different Publications amongst which include being a weekly Columnist in Daily Trust Newspapers on the column “EYE ON ABUJA”. From 2007 till date. 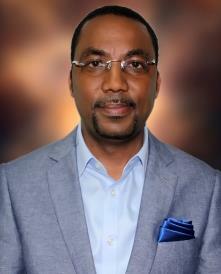 Also a Member of various Committee and Commission such as Niger State –FCT Commission (2008-2010) Member, Engr. A.A Kure Commercial Layout Committee, Suleja Local Government – Chairman 2007-2012 and presently holding a membership position on the Board of Nigerian Ports Authority (NPA) from August 2016 to date. He is a graduate of Economics, with Masters in Finance and is a doctoral scholar in Business Administration,he also attended management courses at the Universities of Oxford and Cambridge.A former banker,financial consultant and a security consultant in the UK. He is a philanthropist, motivational speaker, business mentor,entrepreneur and a major African employer of labour in Europe.Group managing director of Express group of companies, has attended international trade missions, he is the Chairman of the Nigerian Association of Entrepreneurs UK,Chairman Association of Nigerian Security Officers UK,Vice chairman of the Central Association of Nigerians in the UK ( umbrella body for all Nigerians in the United Kingdom). He is a minister and a member of the board of trustees of RCCG Inspiration house London .A campaigner for good governance and a former student leader at the University of Jos. Mrs. Eniola Idowu Williams was born at Ibadan, Oyo state of Nigeria to the family of Mr. & Mrs. Michael Oyenekan Taiwo. She obtained a Bachelor of Laws Degree (LLB) in 1985 from the University of Lagos, Nigeria and was called to the Nigerian Bar in 1986. After this, she undertook the National Youth Service Corps (NYSC) and carried out her primary assignment at the Secretary/Legal Division of the Nigerian Ports Authority. Mrs. Williams obtained her Master of Laws Degree (LLM) in International Maritime Law in service under the Federal Government sponsorship at the IMO International Maritime Law Institute (IMLI) Malta, in 1998. She graduated with a Distinction and earned a prize as the best performing Student in the “Law of the Sea”. 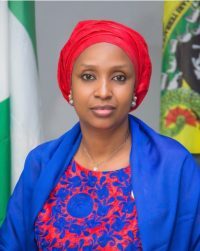 She has maintained an unbroken career progression in the maritime industry with the Nigerian Ports Authority spanning over two decades and served in various capacities in the Secretary/Legal Division. Mrs. Williams also served as the Special Adviser to a former Managing Director in the course of her employment. 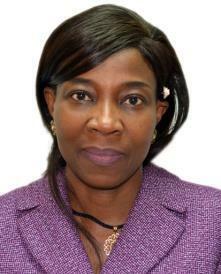 She currently occupies the position of General Manager in charge of Secretary/Legal Division and Chairperson of the NPA Anti-Corruption and Transparency Unit (ACTU).